Mr. Sadowski, B.C.’s dad, Miss Wetzel, Mrs. McPherson, Mrs. Teachout, and Mrs. Minnucci were here today. The radio people were also here today, Emily and Chas. They were taking pictures and using a microphone to record our voices. 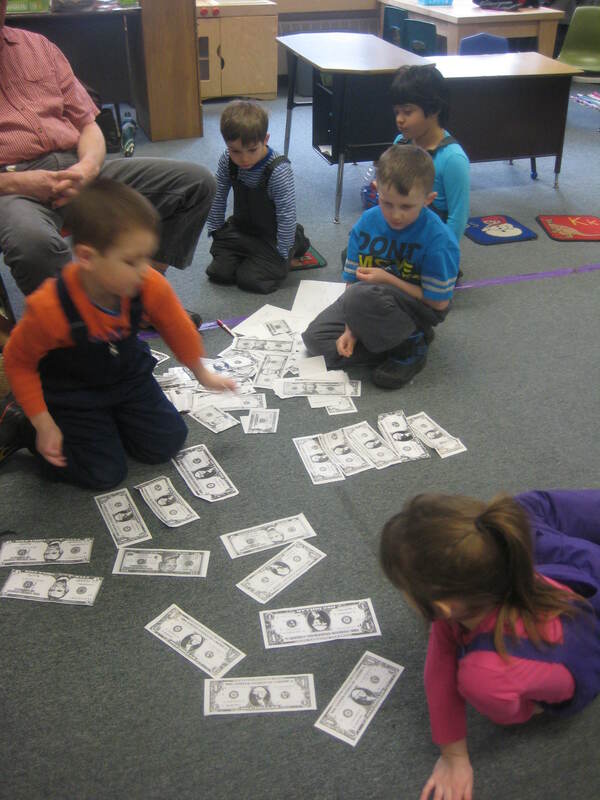 In the morning we were learning about money. 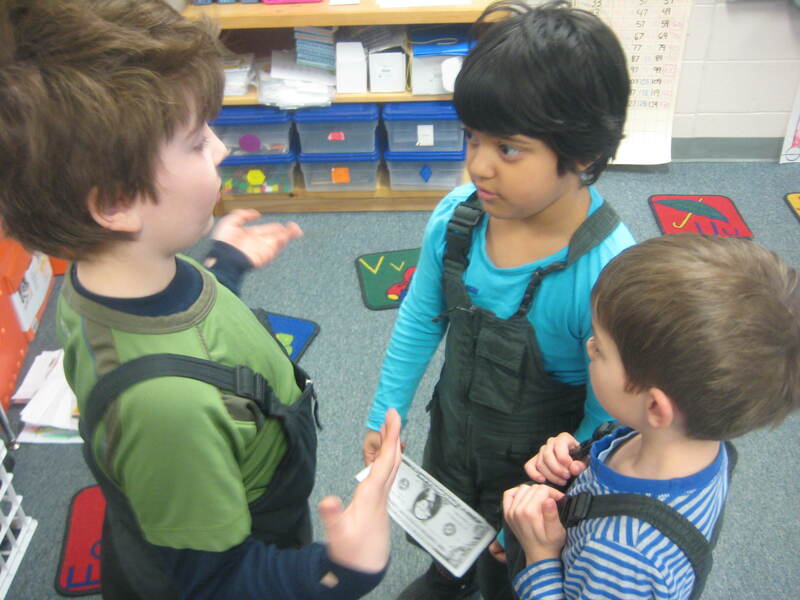 We were trying to find ways to make ten dollars. We could use ten ones, two fives, a ten dollar bill, or half of a twenty. A five and five ones could also work. Some of us worked in groups. L.D. 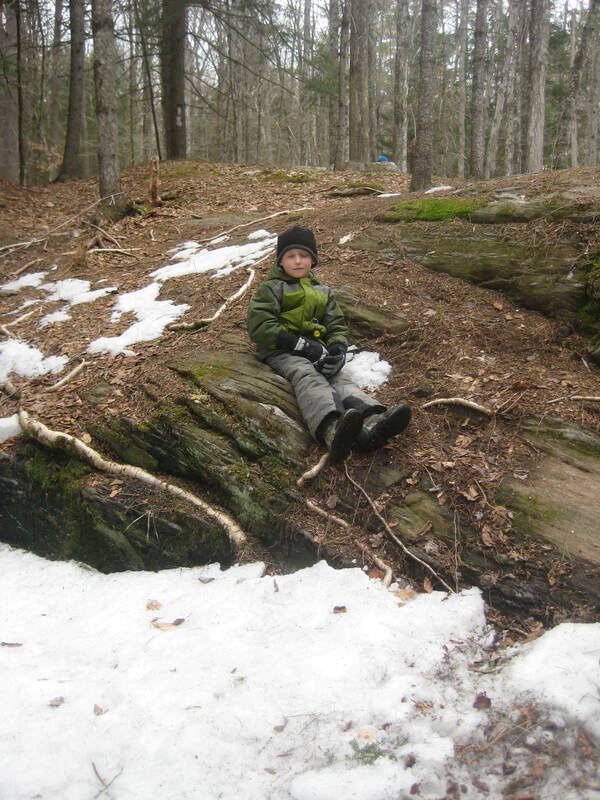 was sitting at his sit spot and looking at different things in nature and was noticing different things. 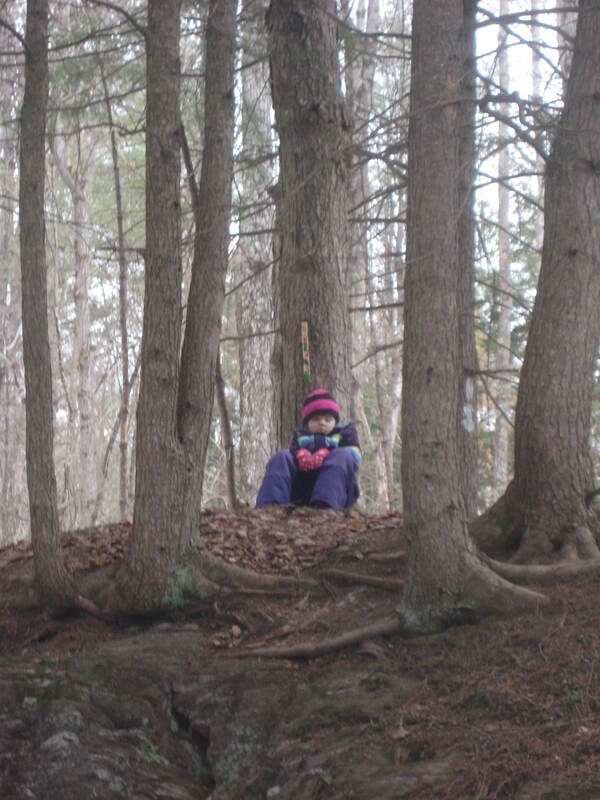 L.A. was sitting below her sit spot stick which she had decorated on a different forest day. 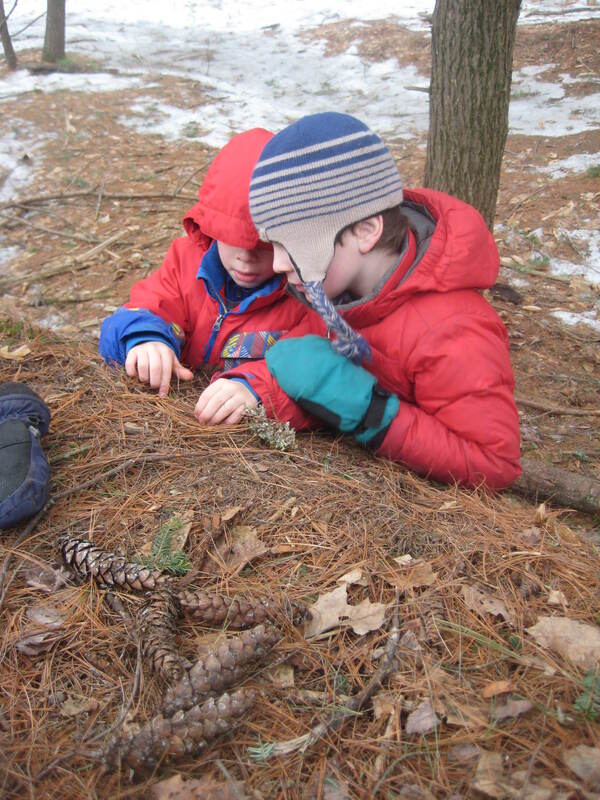 At play time, some of us were playing a game where we were hunters. We had to destroy certain things. E.O. and B.P. were looking at plants and also trying to build a dam. 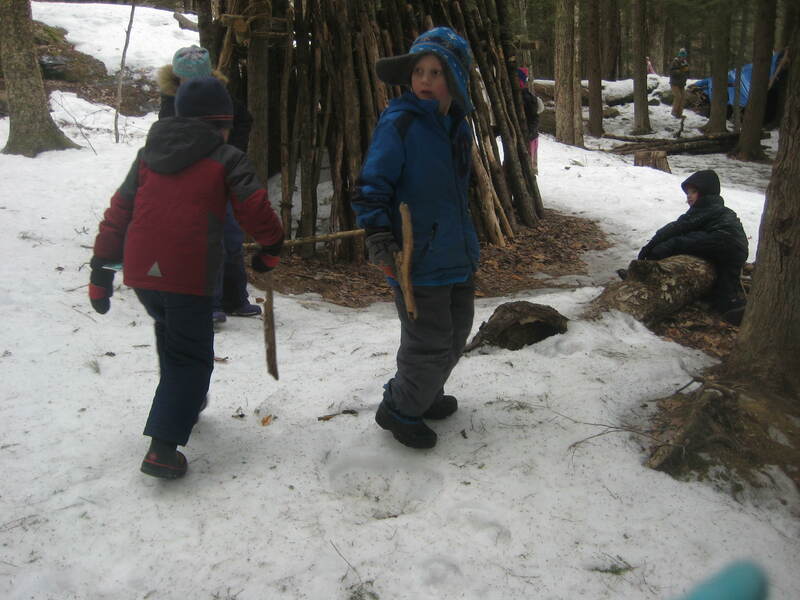 The water would go down in a stream and they had to use rocks and twigs to block it. We’re doing pretty well with solving our own problems by working them out. During play time we are learning how to play together nicely. 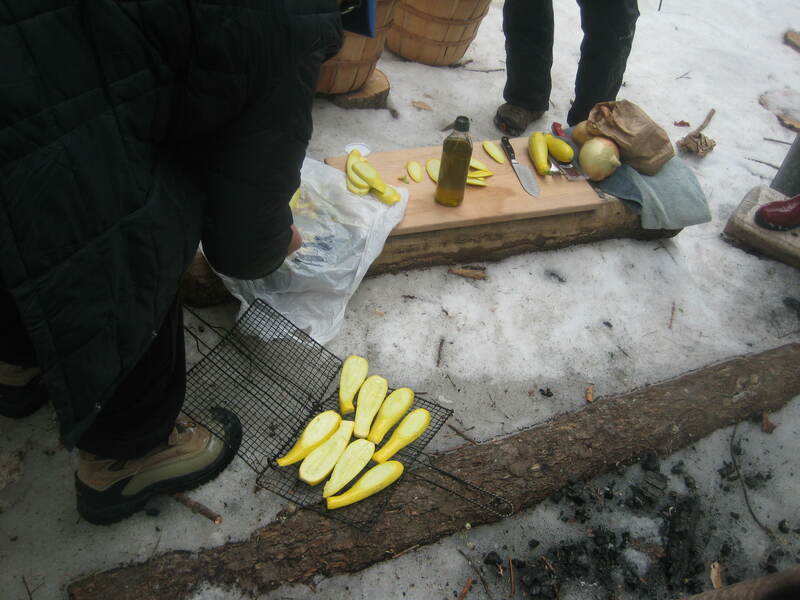 We had summer squash that some of us helped cook. We had mushrooms and onion rings. We all thought that different things were yummy. Some of us liked all of it! 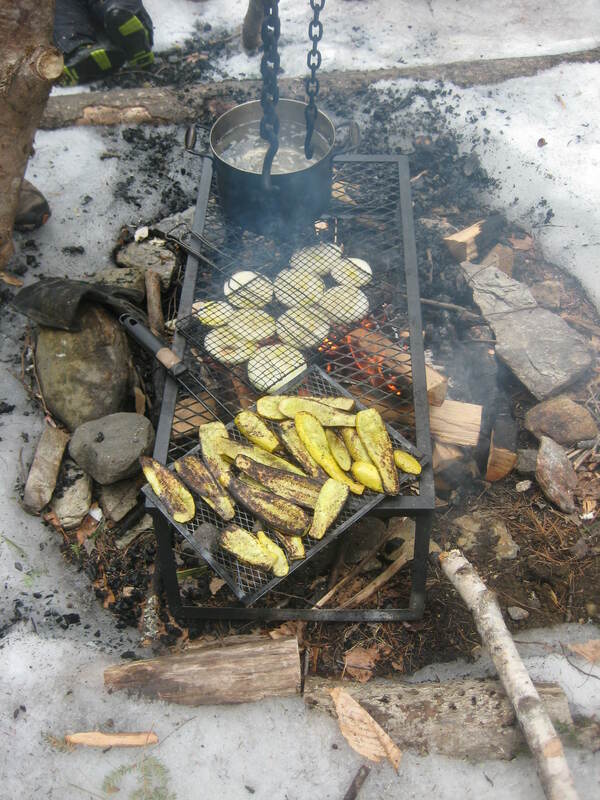 We cooked them on the fire. In one station, we were making letters, words, and our names. We would “erase” our work and make lots and lots of words. 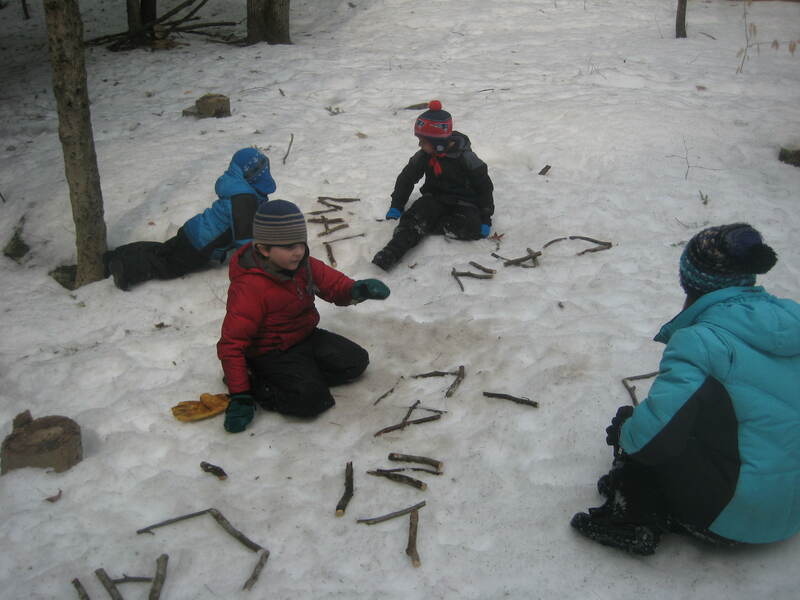 We were using sticks to make the letters. We were making our log cabin a little bigger in another station. 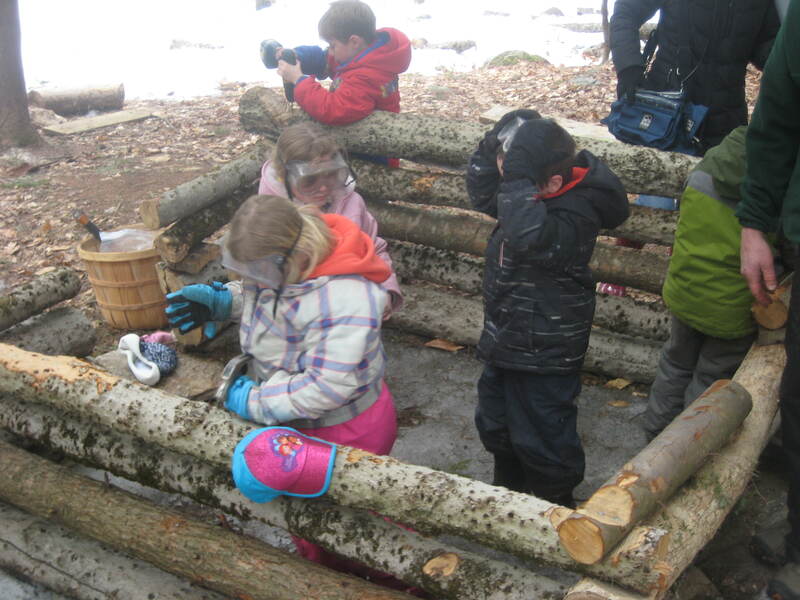 We built it a little higher and we used hammers and also goggles to protect our eyes. 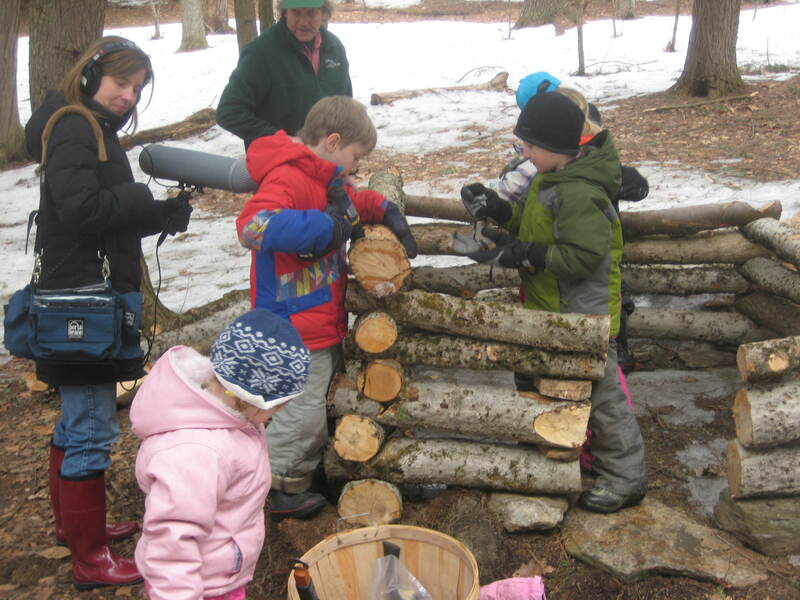 Some of us hammered the logs and noticed some sap coming out. 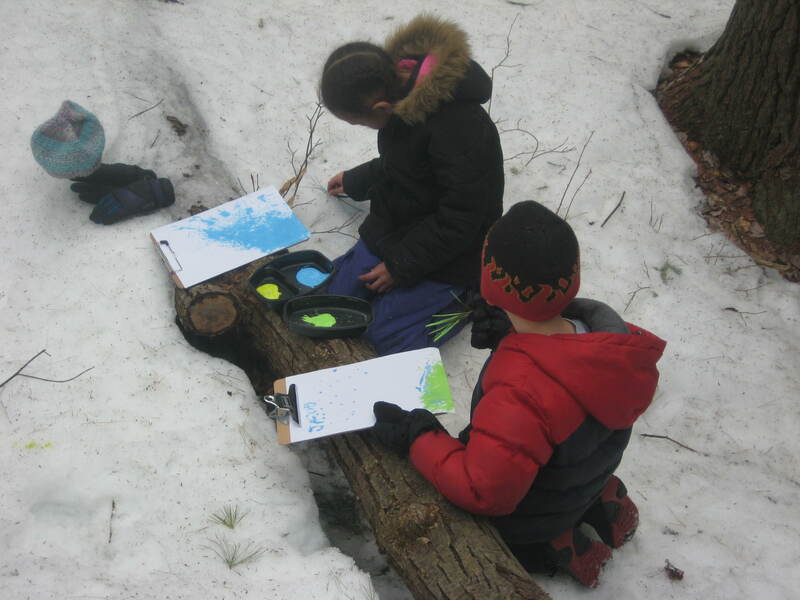 At Mrs. Minnucci’s station we painted. 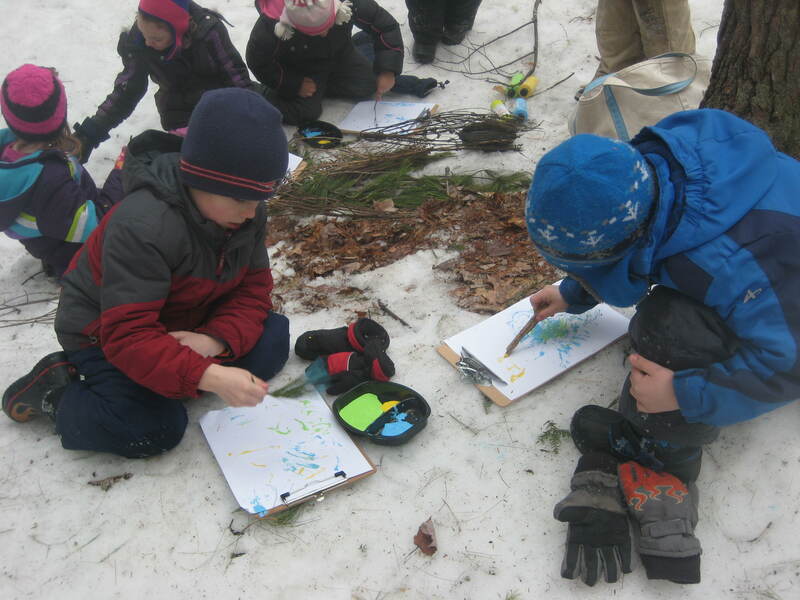 We were using sticks or other things from nature to paint. 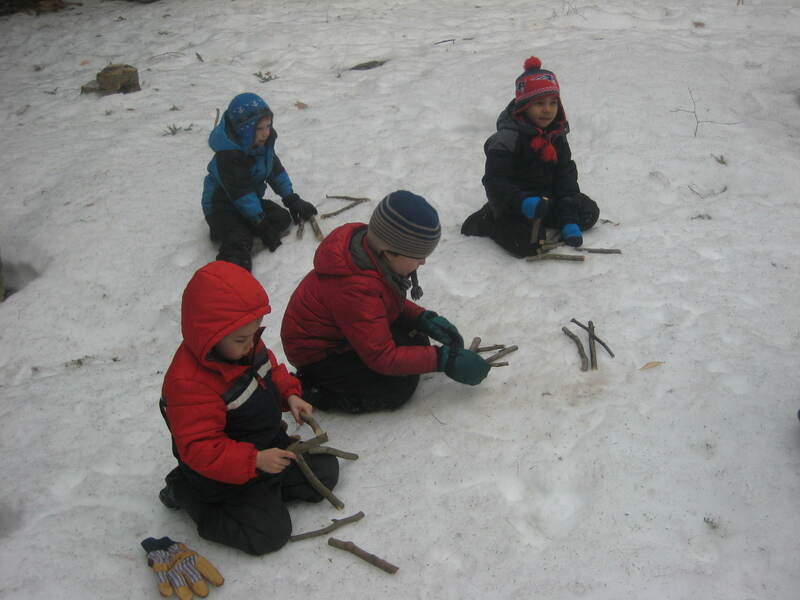 Some of us accidentally used our hands but used the snow to wipe it off. We didn’t get a chance to go to each station today. 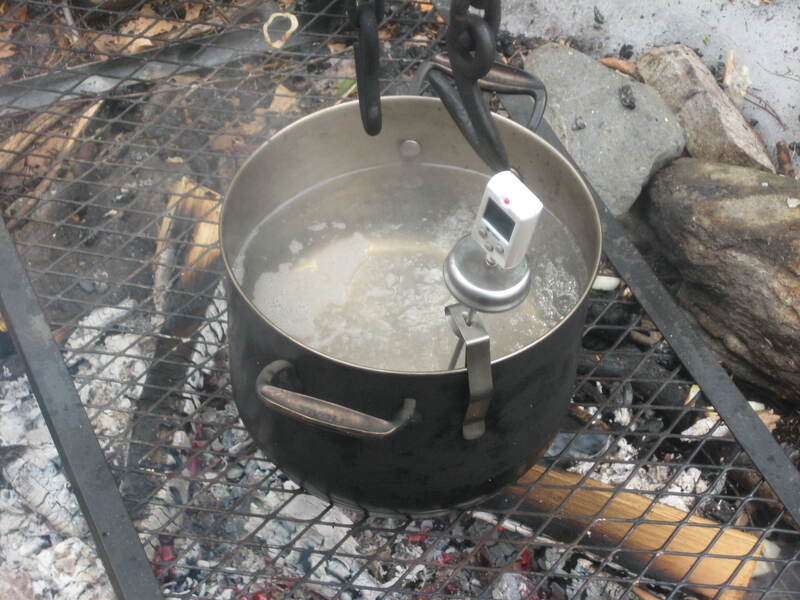 We also cooked the sap before we tasted it. 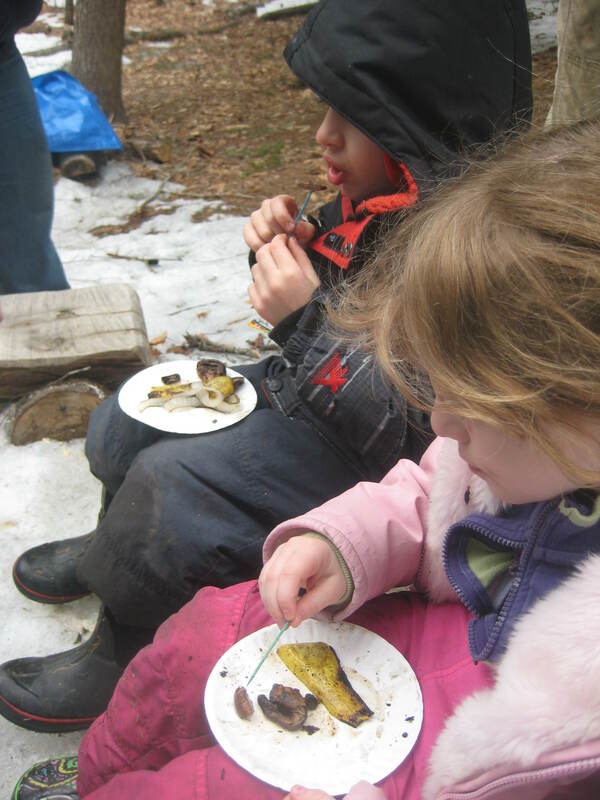 Some of us thought that the sap tasted somewhat like syrup even before it was done. It was 33 degrees. Today was so good that we wanted to stay outside. We did stay out a little longer today.